Drones. Imagery. Video. Sensors. Real-time data. Focused mobile 3D applications. Big data. The cloud. The Internet of Things (IoT). All are examples of the types of technology, information, and applications that are increasingly impacting how geospatial data is collected, analyzed, visualized, and shared. "These are a new reality," said Sud Menon, Esri director of software development, as he spoke at the Esri Developer Summit about how the ArcGIS platform is evolving to meet new demands. Read the article. 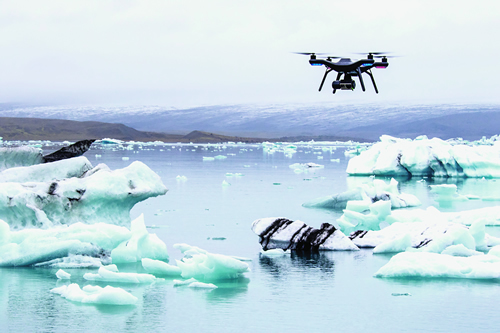 Drones collect imagery that can be used in ArcGIS. 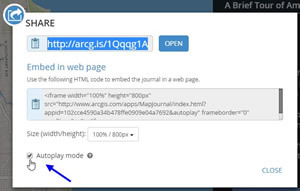 Many Story Map apps support autoplay mode, where the story advances automatically and loops when finished. Using autoplay mode is ideal when you want to use a story map in a public space, such as a visitor center. Read the tip. In his opening remarks at the Esri Developer Summit, Esri president Jack Dangermond called geospatial app developers "one of the great, bright lights" for positive change. Read the article. Whether you want to find a vacant commercial site or a place to eat lunch, the new open data portal for the city of Johns Creek, Georgia, has all the geographic data and mapping tools you need. Read the article. Annie Cahill is busy deploying interactive web mapping apps for the city of Winchester, Virginia. And she never needs to write a single line of code. See how she does it. The University of Minnesota uses GIS to visualize and manage assets on campus, including building space, sewer pipes, fire hydrants, and trees. Watch the video. 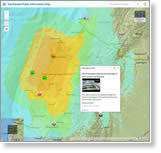 What's New in ArcGIS Online? Esri technology evangelist Bern Szukalski shows some cool new things you can do in ArcGIS Online such as make custom basemaps using Living Atlas of the World content and easily alter a route that has already been created. Watch the video. Esri director of commercial marketing Helen Thompson lists 10 reasons why attending the Esri Business Summit this summer makes good business sense. Read her blog. Susan Gordon, deputy director of the National Geospatial-Intelligence Agency (NGA), says the NGA will start to shift to delivering cloud-based geospatial intelligence services to the intelligence community. Watch the video. Esri's developer team huddled to create this top 10 list of takeaways from the 2016 Esri Developer Summit. Keep this list in mind, as it contains information about some important technology and resources for app development. Read the article. The wise use of color and choice of symbol size are among Esri cartographic specialist Lisa Berry's six tips and tricks on how to make better maps using the smart mapping capabilities. Read the blog. Tune in to the live training seminar Modeling the Unknown: Spatial Interpolation with ArcGIS Pro on May 26, 2016. You will learn about the methods and tools available to visualize, model, and predict spatial phenomena. Learn more. People who earn Esri technical certifications will now receive digital badges rather than emblems. The badges will include metadata to help others, such as prospective employers, quickly verify Esri certification information. Read the blog. 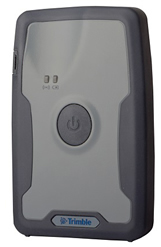 With the Trimble R1 GNSS receiver, you can collect highly accurate location data with your iOS or Android device running Collector for ArcGIS. Order today. ArcGIS Earth 1.1 supports time sliders for KML datasets. You can directly load coordinates by CSV or TXT file into ArcGIS Earth and add Open Geospatial Consortium, Inc., Web Map Services or Web Map Tile Services. . Download ArcGIS Earth 1.1. Loma Linda University Health (LLUH) used GIS technology from Esri and map data from HERE to create an application that would help LLUH do things like investigate where people were at risk for asthma and diabetes. Read the article.